As usual, parcel arrived quickly and efficiently, well packed and all correct. This repeat customer is very happy with the service, friendly attention and care that I am always shown by Spacetraders. Just a quick note to say thank you for the brilliant service as usual. Can I also say a big thanks you for the 30% discount. I always enjoy buying from Spacetraders and now you reward me! Marvellous. Some of the jewellery I have made from your stock is in an exhibition in Castlemaine this month. And people were buying it before it got properly set up! I received my beads today after only ordering yesterday, very fast service indeed. The beads are beautiful and I can't wait to create with them. 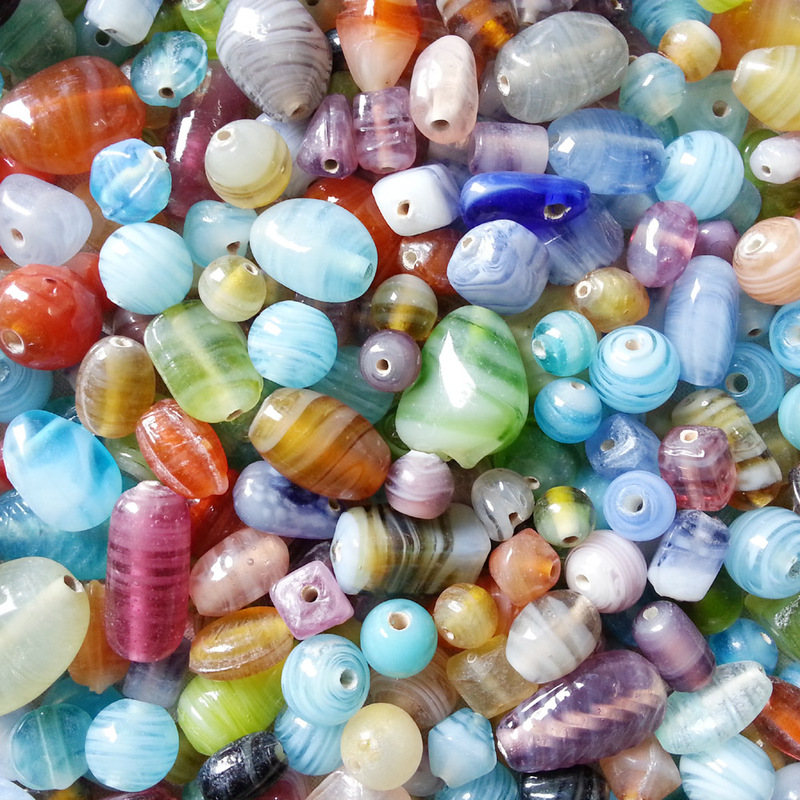 Thank you for your easy to use website, fast service, great choice of beading supplies and your trackable option. A very pleasant experience and I will definitely be back for more! You guys are SO fast. AMAZING!!!!!!!! I just wanted to send you an email advising that my parcel arrived today. You are wonderful to deal with, and the service is great. You certainly beat other web based companies I have dealt with recently, especially when it comes to advising the tracking details. service and fast turn around. The chain was exactly what I wanted too! the beads just arrived and are exactly what i was expecting. thank you very much and lots of regards from switzerland. this order already that was delivered to me this morning at 8.30 am . bracelets for friends and family. Thanks again-I have been recommending  your business to everyone that has commented me on my gorgeous bracelet. Order  arrived today after ordering yesterday!! I really did appreciate your help when I rang. I just wanted to let you know how great your website and customer service is. I never have to wait too long to start my projects! Thank you to everyone at Space trader. Just want to say a "big" thank you for my order, that I picked up from the PO this morning, and I'm wearing the pendant at this minute, and I love it. the many reasons I keep coming back & telling my beading friends about you! THANKS guys, both of my last 2 orders have been sooo quick!! i appreciate it- always reliable!! Very quick and efficient service, placed my order Wednesday and received the stock Thursday. Not only was it quick, but all my head and eye pins were STRAIGHT. Congratulations on a job well done! Have a great Chrismas team. Thanks, Jenny. Hope you have a great day & keep up your fantastic prices!! I wanted to thank you for your great service when I ordered for the 1st time yesterday. My goods were received this morning by personal delivery (from epost?) and I was extremely happy with the quality of the pandora beads and bracelets. You understood my needs were urgent and you were fantastic with your service. Many thanks, and I will be ordering again very soon. You are a Legend! Thanks Greg. Having had a less than positive experience with an online bead company recently I was extremely pleased with your professional & prompt service. The confirmation emails for both payment and dispatch of order were greatly appreciated and instilled a great deal of confidence in both the product and service provided. You will definitely be hearing from me again!! I just got the beads delivered, and they're GORGEOUS! I can't thank you enough for your responsiveness and generosity.....I will take lots of photos on the camp, and send them to you. In the meantime, so you have a bit of a sense of the group, I will attach a couple of our newsletters. I will also give you a more formal acknowledgment in the near future. I just want to let you know that I am so impressed with your amazingly fast delivery. I have been in the retail industry for over 20 years and you are definitely the most efficient company I have ever dealt with. I always go to you first for jewellery supplies because I know I will get exactly what I have ordered and I will get it fast. Thanks. Keep up the good work! Hi Greg, thanks so much for the instant response, the beads have just arrived. Do you have your own courier pigeon? WOW !!!!! Your company is TERRIFIC. I AM SO IMPRESSED WITH YOUR EFFICIENCY. I loved your website and found it remarkably easy to order from. the goods TODAY. Everything I ordered is BEAUTIFUL. Thank you very much, I am a very satisfied customer. You will be hearing from me again.